This product is amazing – over 30 ingredients in each capsule. How much much does it cost? One bottle (30 day supply) of this product costs $27.00 (suggested retail is $34.95) – in addition shipping of this product definitely has handling charges added to the actual shipping costs. Priority Mail for this should cost $4.95 anywhere in the continental United States yet you are charged $6.55. To order this product call 800-969-5131. 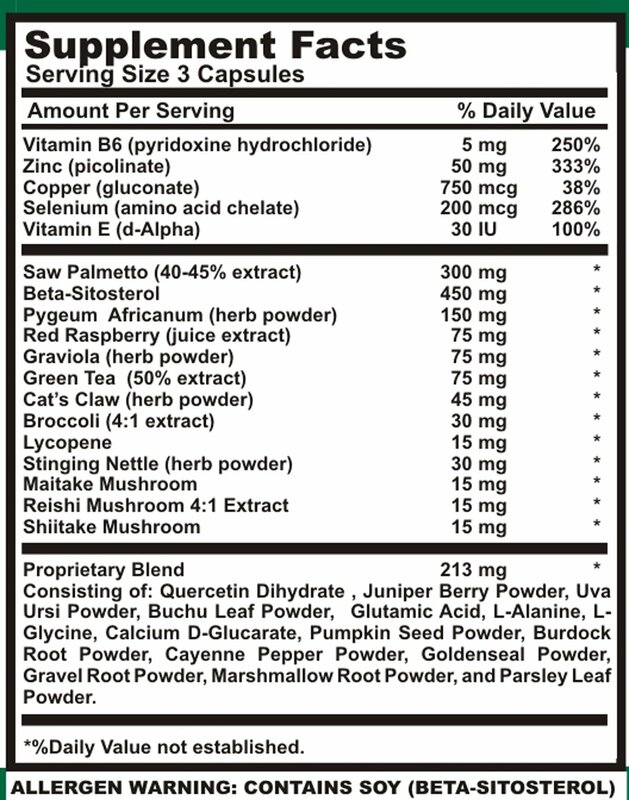 I have never seen a prostate formula with this many extra ingredients. Each capsule contains 519.33 mg of all the above ingredients combined – either this capsule is a whopper or somehow they were able to shrink the ingredients after weighing them to get them into a palatable size capsule. The capsule used for Prostate Health Essentials is not of vegetable origin.